PM bows to internal conservative party pressure as parliament gets a vote on the Brexit Bill. Parliament will get a vote on the final Brexit deal before the UK leaves the EU, minister David Davis has told MPs. He said the terms of the UK’s exit, including any transition deal and agreement on citizen rights, would have to become law via new legislation. And he said MPs would have the opportunity to reject or amend such legislation, saying “the agreement will only hold if Parliament approves it”. The concession means MPs will get a final say on the Brexit deal. The new bill includes the agreement on citizens’ rights, any financial settlement and the details of an implementation period agreed between both sides. 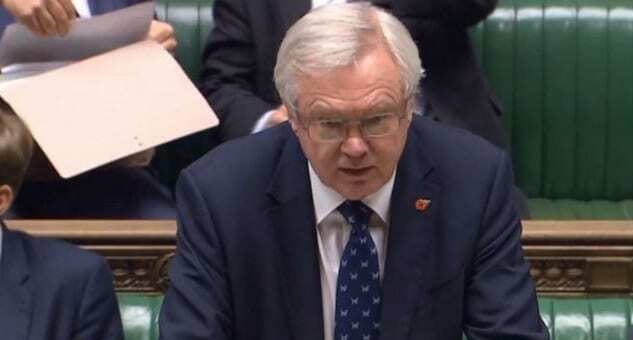 Davis stressed that the exact details of the withdrawal agreement were subject to ongoing and future negotiations and “cannot be known until those negotiations are near completion”. Monday’s announcement comes after weeks of discussions with Tory rebels who had warned that they were prepared to defeat ministers by demanding a legally-binding vote on Brexit. Prime Minister Theresa May is under pressure to offer Parliament the chance to have a ‘meaningful vote’ on any deal on Britain’s departure from the European Union, with members of her own party willing to vote against the government to stymie legislation needed to sever ties with the EU. Labour welcomed a binding vote on a specific exit bill but said it could not mask the fact that there had been a “profound lack of progress” in the negotiations to date.